Though preparing for an international trip is exciting, it can also be very stressful in the weeks and days leading up to your departure. From the big things like booking your flights and buying travel insurance, to all of the little things like calling your bank and checking the weather forecast, there is a lot to cover. 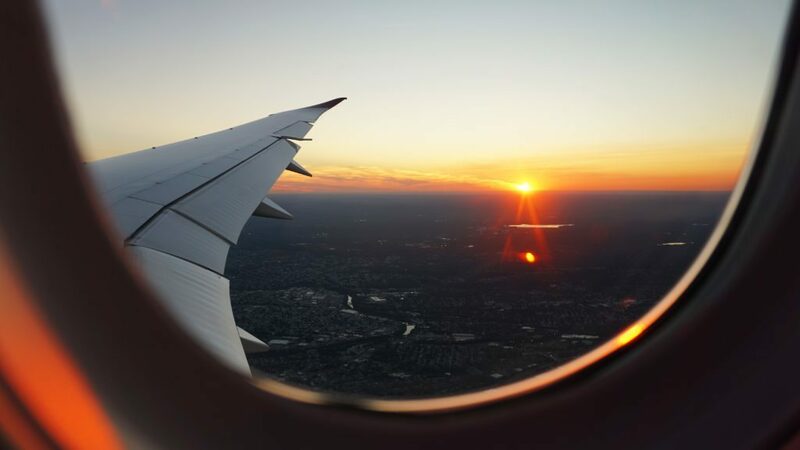 If you don’t have a pre-travel checklist to reference, you might totally forget to do something important before you take off, which will mean more stress and less fun while you’re traveling. Nobody wants that! This pre-travel checklist will help ensure that you’re totally ready to go when your departure date arrives. 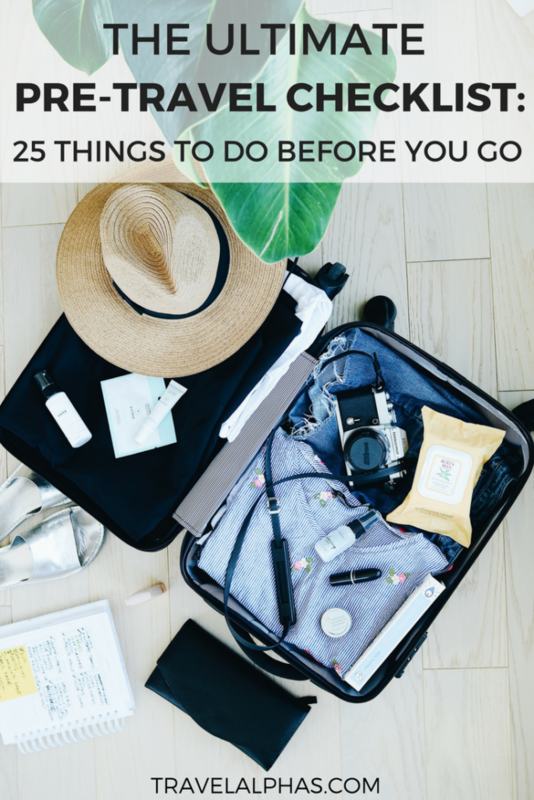 In this pre-travel checklist, you will find 25 things you must do before you travel out of the country! The most important — and most overlooked — thing you must do before you travel is purchase travel insurance! The truth is, it can be hard to spend money on something you may not need after all. But in the event that something does happen, you will be so thankful that you have it. While traveling, anything can go wrong — and if you travel enough, you can bet that something will. From unexpected cancellations or injuries, to stolen belongings and lost luggage, anything can happen. To be blunt, it’s foolish not to invest in travel insurance when it’s so affordable and easy to purchase. We highly recommend purchasing your travel insurance through World Nomads because they offer great coverage, a quick and easy process, and come highly recommended by the likes of National Geographic and Lonely Planet. To get an instant quote for your next trip, simply click here. Depending on the country you’re visiting, you may need to apply for a visa or some other special permission. Start researching this as soon as possible, since it could take weeks to finish the application process and obtain the proper documentation. In case your passport is lost or stolen, you will be thankful to have a couple of printed copies of your passport. This will make the process of getting a new passport much easier. You should keep a copy in your carry-on, and a copy in your checked bag. It’s also a good idea to scan a copy of your passport and either email it to yourself or save it in your Google Drive. If you’re traveling to a faraway land, you may require vaccines and/or medications. Call your doctor or go in for an appointment to see if you’re good to go! Roughly three to six months before your trip, you should be on the lookout for flights, and ready to pounce when the price is right. We highly recommend searching on Skyscanner for flights, as well as on STA Travel (if you’re under the age of 26 and Blue Tickets are available). A few months before you depart, you should also book your accommodations. We always find that the sooner you book, the cheaper and better they are! We always use Booking.com for booking our accommodations, whether we’re booking a resort, hotel, or homestay, because they have the best deals and options. Click here to find great deals on accommodations for your next trip! GET A FREE PRINTABLE COPY OF THIS CHECKLIST! Before you leave, call or go online and let your bank(s) know where and when you’re traveling. 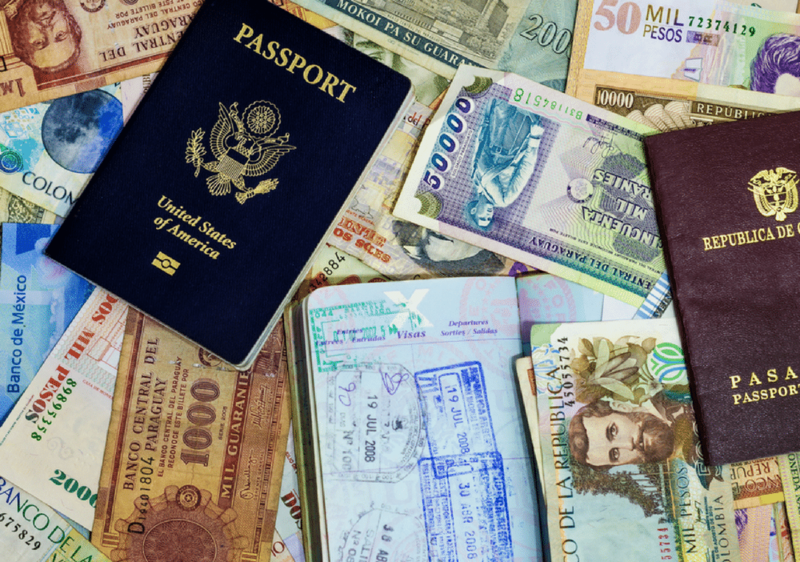 That way, your credit and debit cards will work while you’re abroad — an absolute necessity! Most often, local people will appreciate your efforts to speak their language, even if you only know how to say a few words! Before you visit somewhere new — and especially somewhere very different than your country — you should do plenty of research on the local customs and etiquette. The last thing you want to do is offend someone or look stupid for doing or saying the wrong thing. You should always research things like how to dress, how to greet people, the dining and drinking etiquette, if there are any off-limit conversation topics, and if/when/how much to tip, among many other topics. 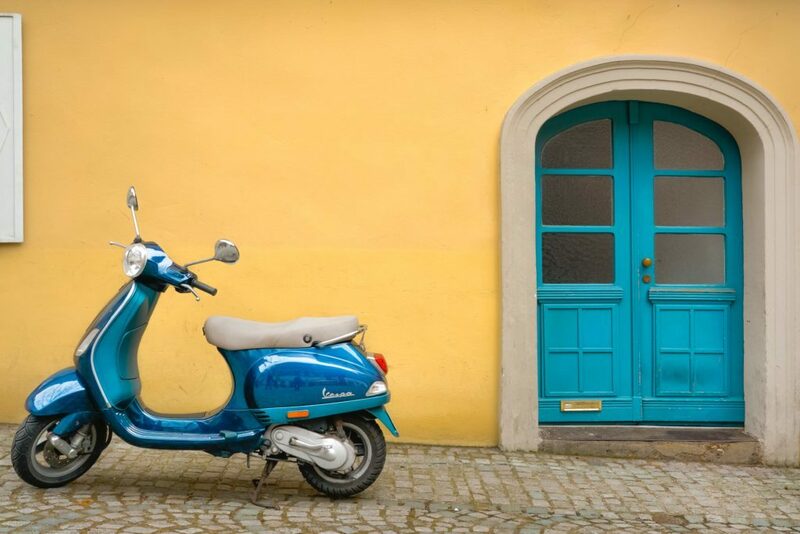 If you plan to rent a car, scooter, other motorized vehicle while you’re abroad, you may need to get an international driver’s license. Requirements vary from country to country, so make sure to do your research well in advance! When planning a trip, the last thing you want to do is schedule your vacation time down to the minutes. At 10:00 AM we eat breakfast, at 10:30 AM we go shopping, at 11:30 AM we take a walking tour. But on the other side of the spectrum, you also don’t want to go in blind, without any sort of plan at all. Before your trip, do some research on what you’d like to do in each place, and then make a rough itinerary. That way, you’ll leave room for serendipity, while also including all of the important, can’t-miss bits. Once you’ve chosen your trip dates, you should find out if there are any exciting events going on that you may want to experience. Concerts, festivals, holidays, and sporting events are some of the potential happenings you won’t want to miss! Is there a museum you plan to visit? Or maybe a winery you want to tour? Whatever it is, it’s a good idea to purchase tickets and book tours in advance, since they could sell out. Plus, prices listed online are usually better than what you’ll find last-minute when you arrive. We always use TripAdvisor to search for and book tours. They have thousands of experiences available with a few clicks of a button, and of course, millions of reviews so you can ensure it’ll be money well spent. As you all know, food is one of our main reasons for traveling, so of course we do tons of restaurant research before we go! We use a combination of travel blogs, Yelp, Foursquare, Google Reviews, and TripAdvisor to find potential restaurants and cross-check them. Before you go, you should tell someone you trust about your plans, and if possible, give them a copy of your entire itinerary. That way, in case of any emergency, you can be accounted for much easier. Whether you prefer to print out all of your flight itineraries, accommodation confirmations, transportation tickets, etc. or to keep them in a file online, it’s important to get organized. You should have all of your confirmations in one easily accessible place. You never know when you will need to reference them, or when a government official might demand to see them! Before you start packing for your trip, make sure you check the weather forecast. Just because somewhere — like California, for example — has pretty consistent weather, it does not mean it can’t change. Throughout the world, there are all different shapes of wall outlets, which means you need an adapter with the properly configured prongs to then plug your devices into. I’ve used this adapter for years and love it because it’s compact, it’s compatible with most (if not all) countries around the world, and it includes a USB port, as well as the regular plug, so you can plug in many things at once! Depending on the electronics you plan to use while abroad, you may also require a voltage converter. This article explains why and when you might need a converter. When you travel, you should always have some emergency cash on you — whether in your currency or the local one. You can’t predict when you’ll find yourself in a pinch, but you can bet that if you don’t have any cash, the situation could become much worse. Will you call or cab or use a ride-hail app? Will a friend or family member take and pick you up? At least a few days before your departure, you should have a plan for getting to and from the airport to make sure your trip starts off smoothly. There’s nothing worse than arriving in a foreign place where you don’t speak the language, exhausted from hours and hours of traveling, and not knowing where to go. Before you depart, do research on where exactly your accommodation is, and what the easiest (or cheapest) way to get there is. Depending on where you’re going, you should look into trains, shuttles, buses, ride-hail apps, taxis, and even boats. That way, you’ll have everything figured out when you finally arrive. Out of the thousands of travel apps out there, I think the most useful one is Google Maps. Before I go anywhere, I always open up the app, and star (save) all of the places I know I’m going: my hotels, restaurants, tour meeting points, etc. These stars (and your exact current location) always show up in the app, whether you have service/wifi or not. This makes navigation an absolute breeze and I truly have no idea how I ever traveled without Google Maps before. Before you leave, you don’t want to forget the little things like taking out the trash, throwing out perishable food, and locking everything up. My good friend Claire, over at Tall Girl Big World, published a great list of 11 things she does around her house before she takes off! STEP is a free service for American citizens and nationals which provides important alerts and warnings about the safety conditions in your destination(s). STEP also helps the US Embassy, friends, and family contact you in case of an emergency. Click here to enroll your trip into STEP! Many other countries also offer these services. If you’re not from the US, check your government’s travel-related website to see if you can register your trip, too. 25. Buy travel insurance. Seriously. We’ve said this once, and now we’re saying it again because it is that important. You should never travel out of the country without travel insurance. I’m about to embark on a 6-month trip through Guatemala, New Zealand, Australia, Myanmar, Laos, Thailand, and Vietnam, and you can bet that I bought travel insurance through World Nomads! When it comes to prepping for a trip, there are so many different things to consider, worry about, and complete. Combine that with your regular life responsibilities, and going on a trip can sometimes seem downright stressful (no matter how excited and grateful you are to go)! That’s exactly why we made this pre-travel checklist for you, complete with 25 things to do before you go on an international trip. 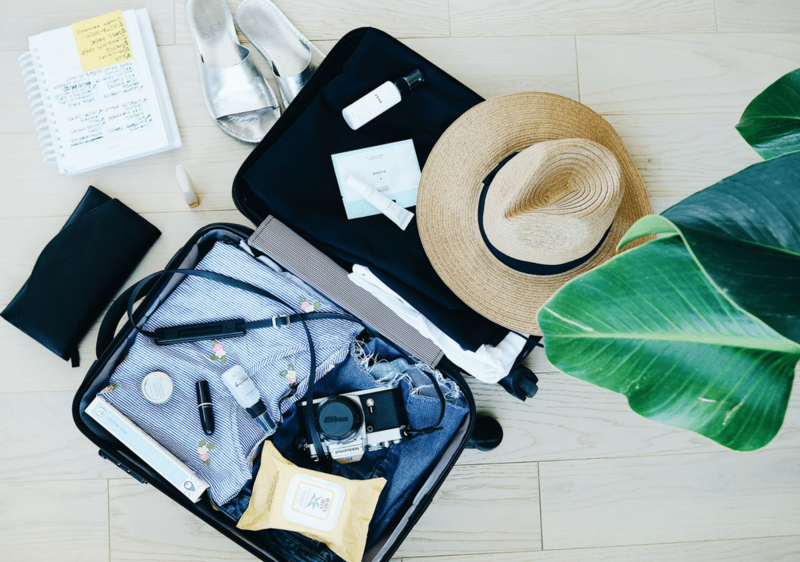 We hope that our pre-travel checklist will make your life a bit easier and ensure you never forget to call the bank, check the weather forecast, or buy travel insurance again! 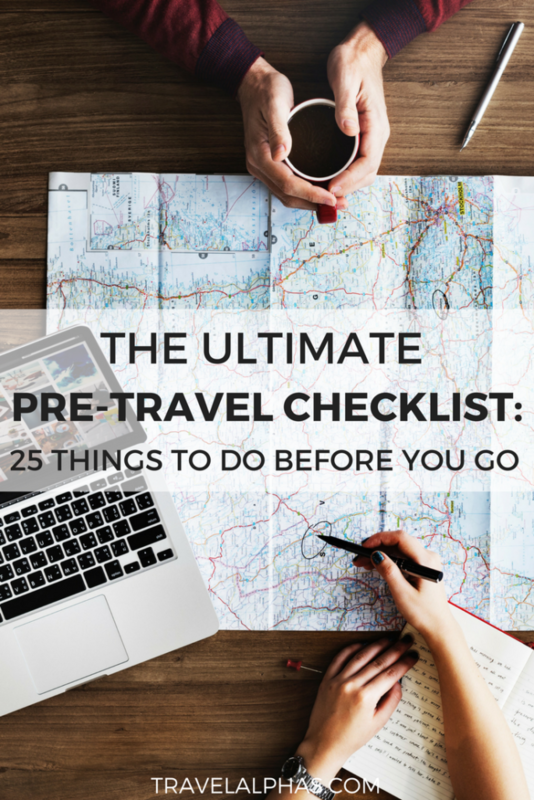 What else is on your pre-travel checklist? Is there anything you always forget to do or pack when prepping to travel internationally? Let us know in the comments section below!